Young and charming, newly elected Pius XIII, aka Lenny Belardo, is the first American Pope in history. His ascension appears to be the result of a simple, effective media strategy implemented by the College of Cardinals. In the Vatican, however, the prevailing wisdom is the church's leaders have chosen a mysterious figure as their guiding force. Newly elected Pope Pius XIII settles in at the Vatican to begin his reign. Sister Mary catches up with Lenny's childhood friend; Lenny reaches out to Cardinal Spencer. Voiello considers his options; Sister Mary outlines the pope's policy toward questions. A rural shepherd appeals to the Vatican to recognize his miracle-working stigmata. 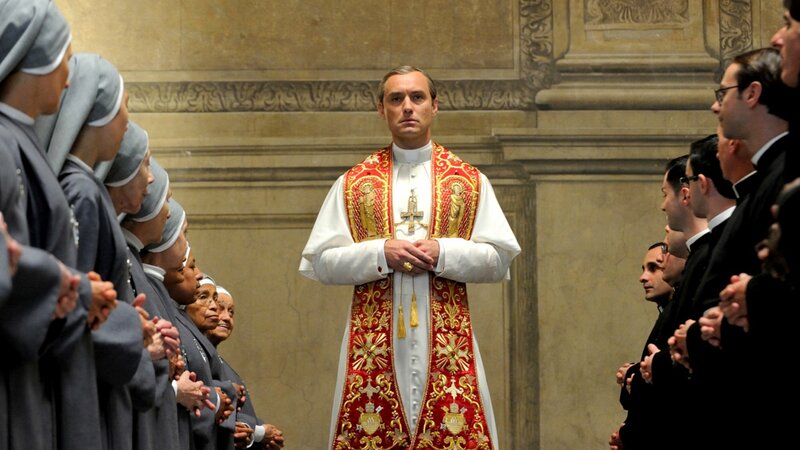 Voiello orchestrates a scandalous scenario designed to cripple the pope. Lenny meets with the Italian prime minister; Cardinal Gutierrez reluctantly moves out of the Vatican. Lenny and Sister Mary deal with a shared loss in their own peculiar ways. Gutierrez faces daunting odds in his ongoing investigation of Kurtwell. The prospect of a reconciliation leads the pope to make a change of travel plans and policy.